Strangely enough, I couldn’t get a hold of a pauldron. So I decided to make one of my own. The overall design took over 4 weeks to get to a final stage. 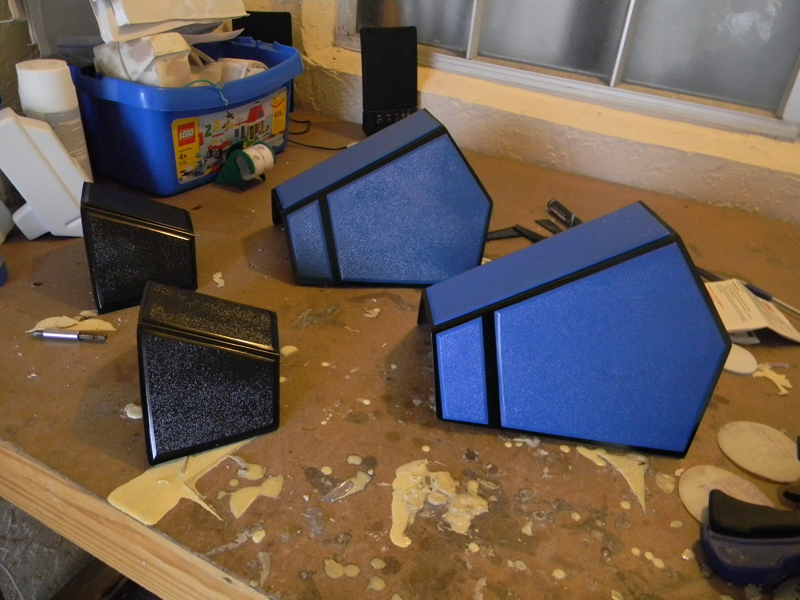 Each part is hand cut and beveled and painted. Even tho they look simple enough, this is by far the toughest build I had to make. These are a PAIN!! 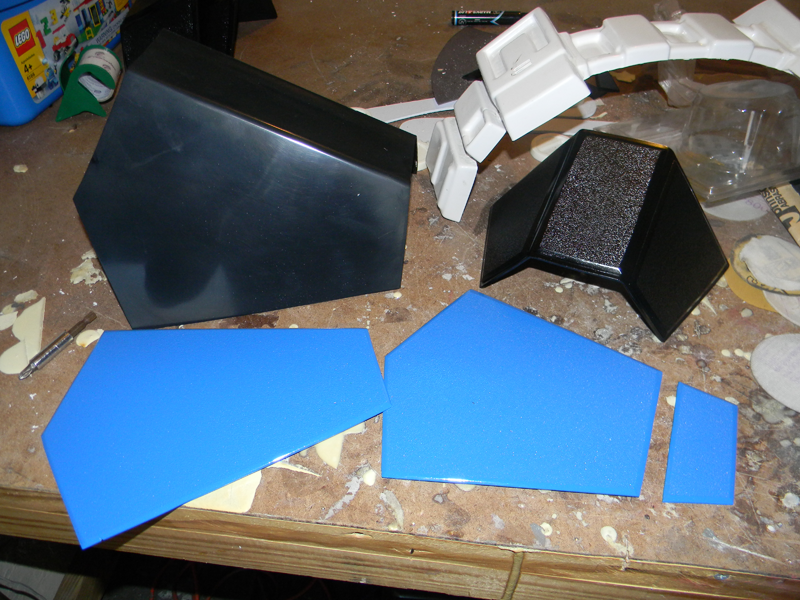 Made from cut .90 black ABS and .125 white textured ABS. 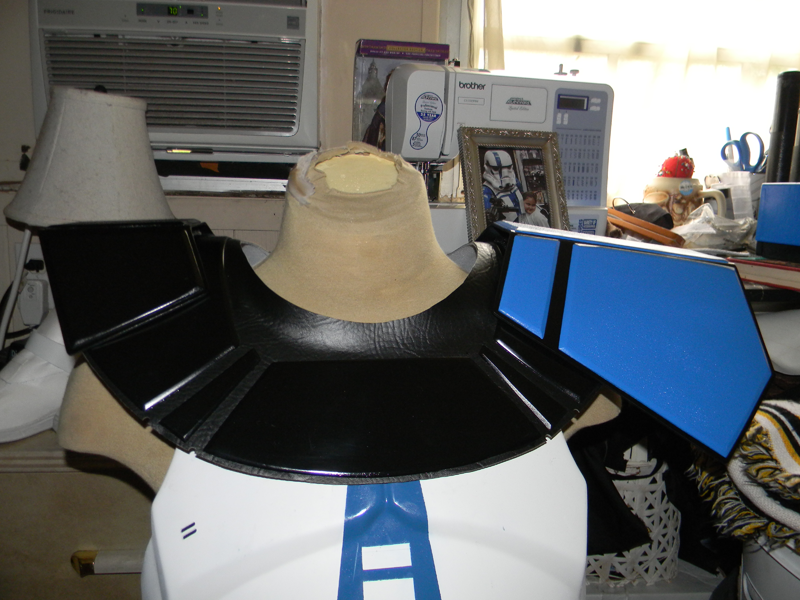 Bib is cut with heavy marine vinyl and painted to match the armor color. 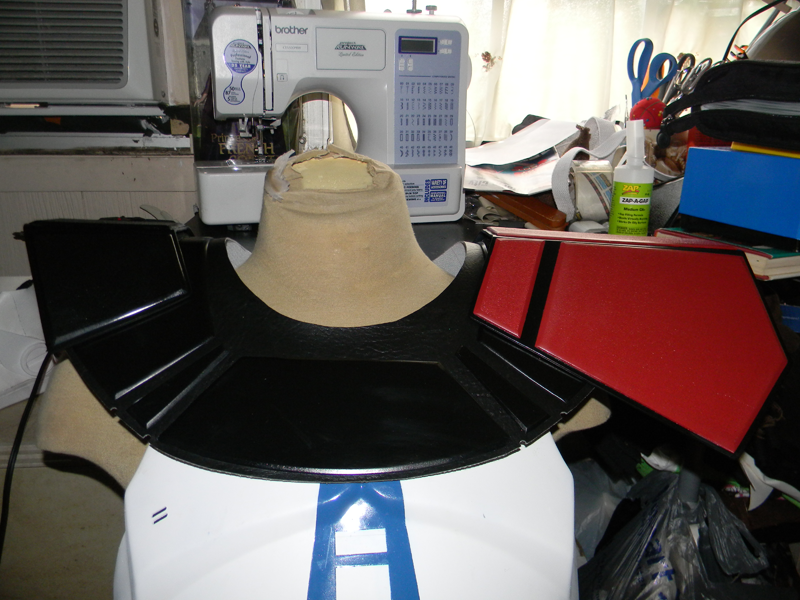 They are also reinforced under the bib with .90 ABS to hold it shape and give a firm surface to attach to your chest armor. 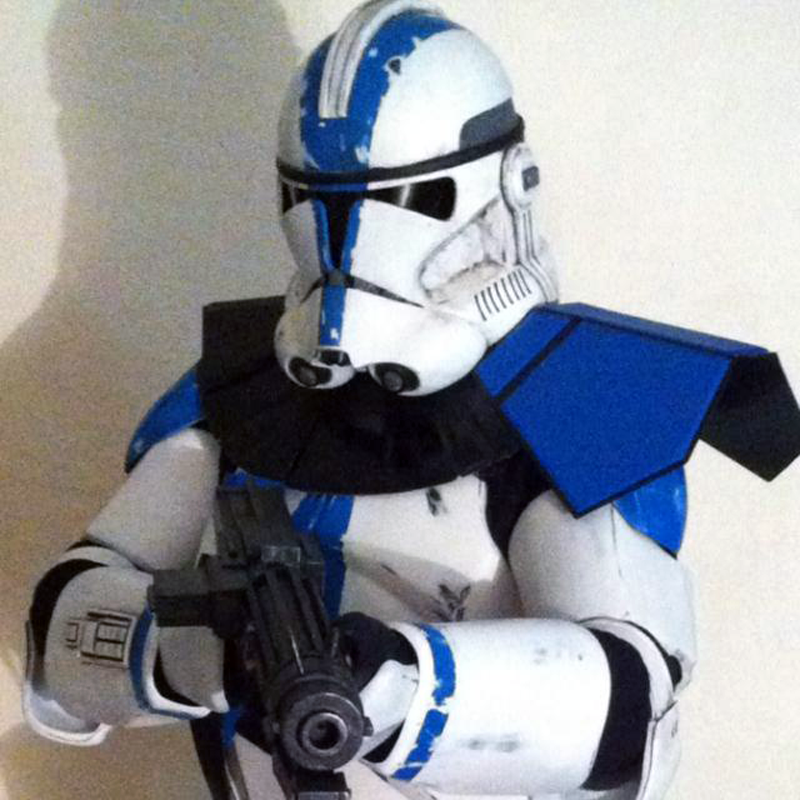 And here’s one of troops sporting his! Looks sick if you ask me!! Well done!